Virtual reality is something that most people would understand. But for some people, it is a foreign concept that is not quite clear. Its okay not to have a complete understanding of what virtual reality is, but the trend is picking up quickly, and if you keep yourself in the dark for too long, you may just end up missing the boat. To ensure this doesn’t happen, we’re going to try and explain just what virtual reality is. In it’s simplest form, it includes interacting with simulated environments. The medium which you use for this varies from gloves and helmets to something as simple as your keyboard and mouse. There are tons of accessories already available, and this may be quite unimaginable for those experiencing it for the first time. 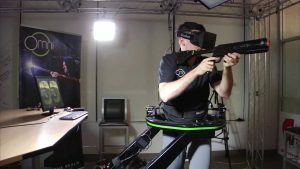 Virtual Reality is a relatively new concept, and if you want to really enjoy games this way, then you will need complete mental and physical involvement. The commands need to be inputted using devices like the mouse or the keyboard, and players must interact with them. It’s very important that the person entering the virtual world is allowed to interact with it. Whether this means hitting a tennis ball, or interacting with dinosaurs, only depends on the technology that is being used. As time goes by, technology is only going to advance at a faster pace, and with this advancement, the way we operate is going to change for sure. There is no better way of stimulating all your brain cells at once than virtual reality. When a better discovery is made, people may just start to shift in that direction. But for now, everyone agrees that virtual reality is the future, and if we don’t get to grips with how it works quickly, we are going to be missing out on a lot of fun.